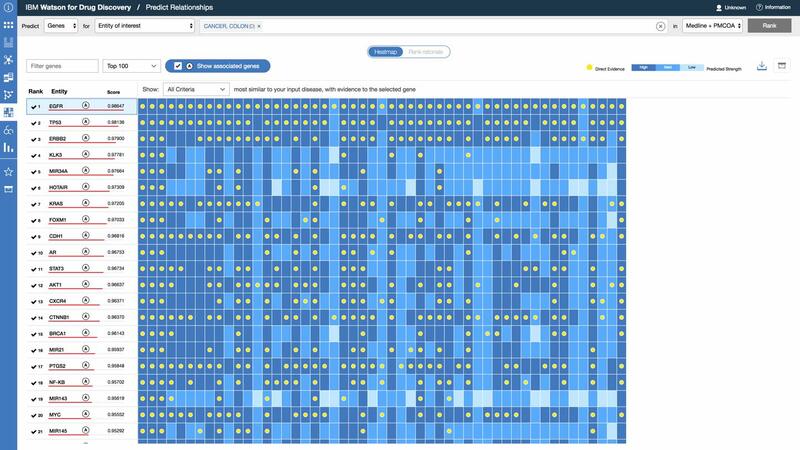 Watson for Drug Discovery is a cloud-based, AI-enabled solution that analyzes scientific knowledge and data to reveal known and hidden connections that can help increase the likelihood of scientific breakthroughs. 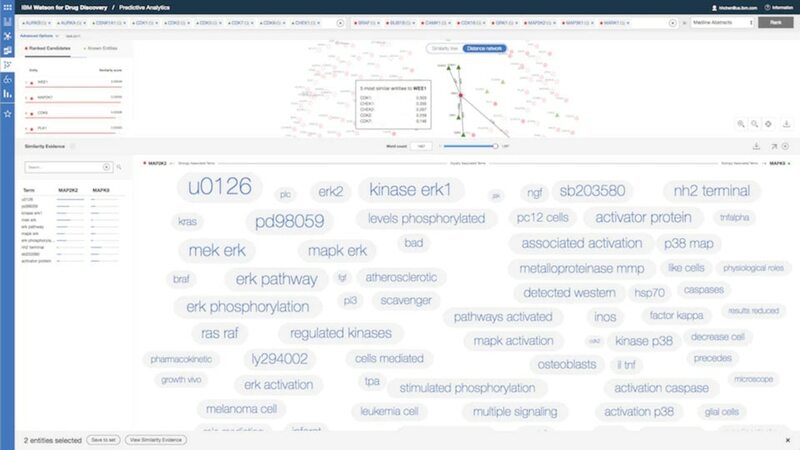 The platform allows researchers to generate new hypotheses with the help of dynamic visualizations, evidence-backed predictions and natural language processing trained in the life sciences domain. It is used by pharmaceutical companies, biotech's and academic institutions to assist with new drug target identification and drug repurposing. 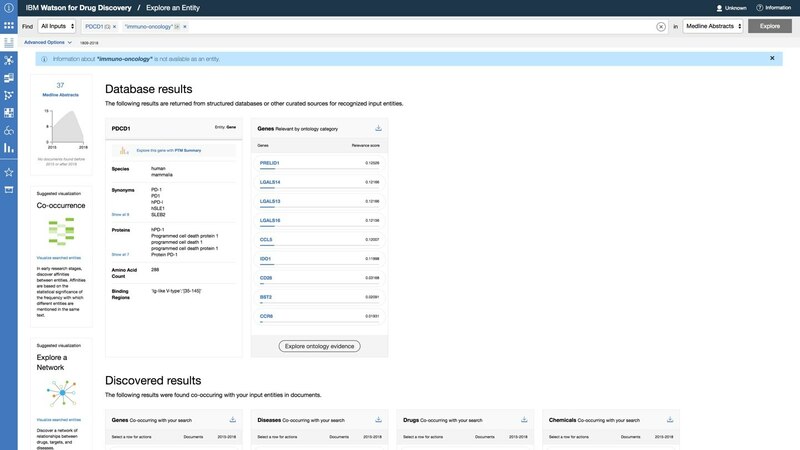 IBM Watson for Drug Discovery has the ability to synthesize massive datasets in both tabular and unstructured formats to unearth insights at a scale beyond what is manually possible. Predictive Analytics leverages machine learning to evaluate and learn through reasoning algorithms and generate novel hypotheses for further evaluation. 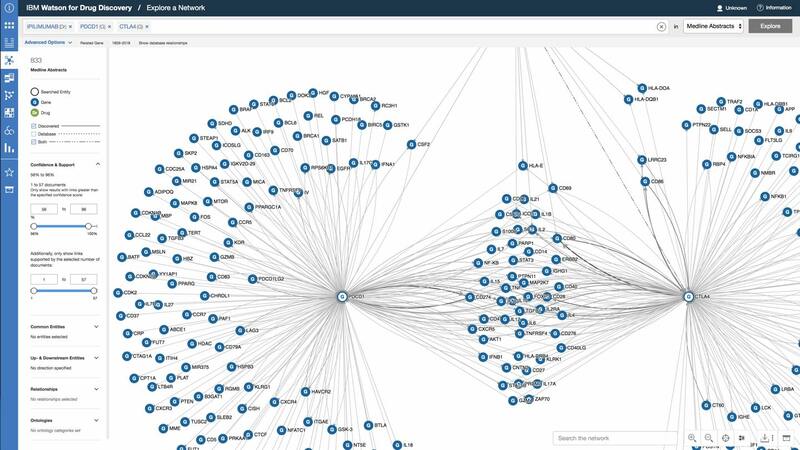 Dynamic visualizations enable researchers to see connections, identify properties of interest, and quickly drill down to supporting evidence. Get visualizations and predictions backed by passage-level evidence drawn from a wide set of public and licensed content. Get all the features of Standard, but at a special rate for academic users. Get all the features of Standard plus the ability to leverage custom annotation or content.